 This page contains core concepts as to Delaware’s escheatment and unclaimed property laws, including details for unclaimed property reporting & compliance with Delaware rules and regulations. Why is Delaware So Important in Unclaimed Property? Delaware is a prominent jurisdiction with regard to unclaimed property as a result of the sheer volume of companies that are incorporated there. Under the “priority rules” of unclaimed property, as determined by the United States Supreme Court Case, Texas v. New Jersey (1965), unclaimed property should first be reported to the state of the last known address of the owner. If that address is unknown, the property should be reported to the holder’s state of incorporation. Because so many companies, both public and private, are domiciled in Delaware, an abundance of unclaimed property is reported there. As a result, it is important for Delaware domiciled entities to keep up to date with key Delaware unclaimed property reporting deadlines. 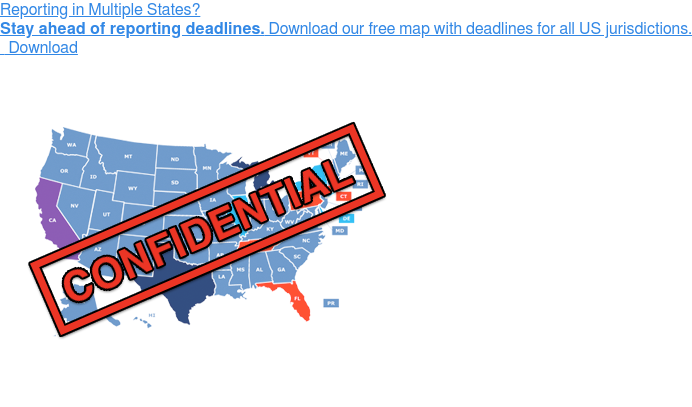 Currently, escheat reporting deadlines for Delaware vary by property type. Depending on the type of property being reported, unclaimed property reports have either fall or spring reporting deadlines. However, the report deadline for most corporations is March 1st. Delaware requires holders to perform due diligence mailings prior to each reporting season. It is recommended to start due diligence mailings early in each reporting cycle to maximize the effectiveness of these campaigns. Since Delaware has multiple unclaimed property reporting deadlines, be sure to review when certain property types are due and plan your mailings accordingly to maximize your outreach to owners. Delaware, like many states, utilizes unclaimed property audits to measure an organization’s level of compliance and enforce its laws. Also like other states, Delaware has instituted a voluntary disclosure agreement process, or VDA process, that allows an organization to come forward and report past-due property in exchange for a waiver of the penalties and interest that are often associated with late reporting uncovered through a Delaware unclaimed property audit. The Delaware VDA process is unique compared to unclaimed property VDA programs offered in other states. It has a unique set of requirements and processes that must be followed in order to complete the program. If your company is interested in entering into a voluntary disclosure agreement in Delaware or any other state, please contact a Keane specialist for assistance. Do you have specific questions regarding Delaware Escheat & Unclaimed Property Laws? Keane can help. Contact us today. The Delaware unclaimed property reporting process can be challenging for holders. Does your organization have questions about state unclaimed property laws and requirements? Click the link below for frequently asked questions and answers regarding unclaimed property reporting and compliance. Unclaimed Property Reporting can be a stressful task. However, when properly managed, the annual reporting and escheatment process does not need to be a burdensome experience. Contact Keane for help today or visit our resource library to see how we can assist in guiding your organization on the path to unclaimed property compliance.